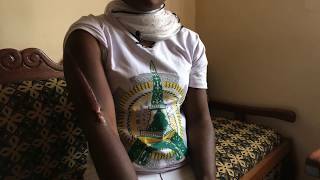 (New York, July 19, 2018) – Government security forces and armed separatists have committed grave abuses against residents of Cameroon’s Anglophone region. 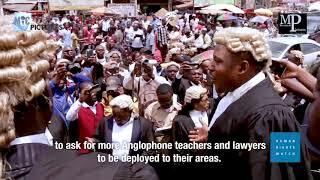 The region has been roiled by protests and violent clashes rooted in long-standing political grievances by the country’s Anglophone minority. Based on research in the region, satellite imagery analysis and video analysis, the 52-page report “‘These Killings Can Be Stopped’: Government and Separatist Groups Abuses in Cameroon’s Anglophone Regions” found that both government forces and armed separatists have abused civilians in the western part of the country, displacing over 180,000 people since December 2017. Anglophone separatists have extorted, kidnapped and killed civilians, and prevented children from going to school. In response to protests and violence by armed separatists, government forces have killed civilians, used excessive force against demonstrators, tortured and mistreated suspected separatists and detainees, and burned hundreds of homes in several villages.